Below you can view all the homes for sale in the Historic Marietta subdivision located in Marietta Georgia. Listings in Historic Marietta are updated daily from data we receive from the Atlanta multiple listing service. To learn more about any of these homes or to receive custom notifications when a new property is listed for sale in Historic Marietta, give us a call at 404-998-4102. New Blinds. Recent Range@ Ref. Nice Deck.Reduced46K MLS#6535924. 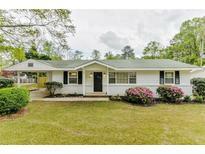 Drake Realty Of Ga, Inc..
Home Is Larger Than It Looks From Photos. MLS#6534942. Atlanta Communities. Laurel Park, Tumlin Park And Lewis Park All Within A Mile Or So. MLS#6534026. Keller Williams Realty Cityside. Best Of All A Five Minute Walk To The New Marietta Market And Historic Marietta Square. MLS#6531710. Realtybiz , Inc.. Originally Built In 1867, This Home Is A Blend Of Old And New; Living Room, Parlor, And Dining Room All With Original Fireplaces, Hardwoods And Windows; Well Designed Renovated Kitchen And Large Breakfast Room With View To Family Room; Master With Sitting Room And Balcony On Upper Level; Master On Main With Access To Lovely Screened Porch; Large Full Basement; Sunroom; Beautiful Landscaping; Outdoor Kitchen And Sitting Area, Expansive Deck With Hot Tub; Fire Pit Area; Great Location; Extremely Well Maintained. MLS#6529712. Johnny Walker Realty. 10 Min To The Square, I-75, Ksu Campus. MLS#6531607. Keller Williams Realty Cityside. Tons Of Charm, Pride Of Ownership And A Superb Lot - It Really Shows. Come See! MLS#6531060. Harry Norman Realtors. 2nd Bath W/Tub/Shower Combo.Spacious Living Area-Fireplace W/Patterned Tile Opens To Seperate Dining Area&Kitchen.Brkst Bar,Granite Counters,5Burner Gas Stove W/"Pot Filler",Built In Microwave!Seperate Laundry Room.Covered Porch&Deck Overlook Fenced Backyard.New Hvac,Roof,Driveway MLS#6530653. Atlanta Communities. Note:Home Electrical System Was Completely Updated In 2016 And Can Accommodate An Addition If Desired. MLS#6530318. Atlanta Communities. This Home Is Eligible For 100% Financing With No Income Limit Or Pmi. MLS#6529166. Palmerhouse Properties. Community Here Is Like No Other! MLS#6525434. Johnny Walker Realty. Close To Desired West Side Elementary, Wellstar Kennestone Hospital. Easy Access To I-75. MLS#6524288. Keller Williams Realty Atl Part. Large/Deep Lot On Quiet Street But Walking Distance To All The Fun Of Marietta Sq, Farmers Market, Great Restaurants, Brewery, Parks, & Ksaw Mt MLS#6524601. Atlanta Communities. Large Screened Patio In Back & Huge, Fully Fenced Front Yard Offer Plenty Of Space For Outdoor Entertaining. MLS#6521654. Johnny Walker Realty. See Private Remarks For Showing Instructions. 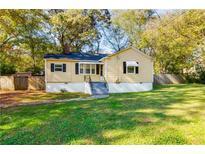 MLS#8545285. Vineyard Real Estate Group. See Private Remarks For Showing Instructions. 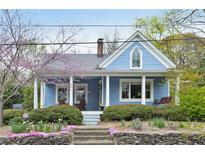 MLS#6519776. Vineyard Real Estate Group. Whether You Are An Empty Nester Or A Young Family, The Modern Updates Are Perfect For Todays Family. MLS#6517649. Keller Knapp, Inc.. Walk To Marietta Square And Local Restaurants. MLS#6516329. Bhgre Metro Brokers. 20 Minutes From Suntrust Park For All Of You Braves Fans! A Must See! MLS#6514763. Johnny Walker Realty. 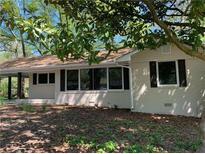 Renovation Of 1960 Home Including Roof 2 Hvac'S, Windows, Etc. Storage Galore. MLS#6513786. Atlanta Communities. This House Is Listed In The National Registry Of Historic Homes. MLS#6512608. Harry Norman Realtors. Huge Yard And Over-Sized Floating Deck Perfect Entertaining Area. MLS#6512779. Atlanta Communities. Includes Home Warranty (Include In Offer). Appliances 2/21. MLS#6508155. Cardinal Property Management, Llc..
Too Much To List!! Show And Sell! MLS#6504880. Atlanta Communities. Come Make This House Your Home Today! MLS#6129234. Duffy Realty Of Atlanta.